He was very professional and listened to my concerns. I felt very comfortable and will definitely be going back if needbe! He was very professional and listened to my concerns. I felt very comfortable and will definitely be going back if need be! Dr. Mudassar Tariq is a board certified adult, child and adolescent psychiatrist. He received his medicine degree from one of the top rated medical schools in South Asia, King Edward Medical University, Lahore, Pakistan. He moved to US to pursuit graduate education in Medicine. He joined a research team at New York Psychiatric Institute Columbia University, NY. He was particularly interested in transfer of trauma stress from first responder parents to their children in context of World Trade Center attacks. He also participated in research at Beth Israel Medical Center, NY related to development of scales to assess probability of impulsive suicide attempts. Dr. Mudassar Tariq was accepted for his Adult General Psychiatry residency training at UMDNJ, The University Hospital in Newark, NJ. He received top notch training in substance abuse, Adult PTSD, Depression and schizophrenia management in multiple settings. He has worked with Veterans and has special interest and expertise in Post-traumatic stress disorder management. Dr. Mudassar Tariq completed his training in child and adolescent psychiatry from Tufts Medical Center, Boston, MA. He received excellent training from specialty renowned supervisors in evaluation of treatment of behavioral problems in children. He is well experienced in evaluation and management of ADHD, Autism spectrum disorders, Depression, Bipolar disorder, Anxiety, Borderline personality disorder and adolescent substance abuse disorders. He is also well trained in use of psychotherapeutic techniques e.g. Cognitive Behavioral Therapy, Interpersonal therapy, Family therapy, Parent-Child interaction therapy, Dialectical Behavioral therapy. 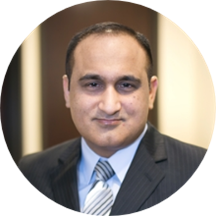 Dr. Tariq has also received training and is certified in treatment of opiate dependence with Suboxone. By a large margin the most competent and intelligent psychiatrist I've met. And I've met many, living in many cities and going through a good number of them, as well as working with them professionally. This manifests as a very calmand well-run practice, with no difficulties or inconsistencies with responsiveness at all so far. Between the assistant and the doctor himself, requests and questions are tracked and followed up on quickly and correctly. This is an area where most practices drop the ball pretty hard, but I've been quite impressed with Dr. Tariq's. He was a wonderful and thorough psychiatrist. He seemed very concerned about my wellbeing, asked thoughtful questions and really listened to what I had to say. I love Dr. Tariq! Not only is he compassionate but he’s not your typical psychiatrist who sets every appointment for 10 mins and just wants to prescribe you drugs. He actually takes the time to listen and has a dialogue. Idrive across town to see him but it’s worth it. People who set up the appointments are rude . How do you cal and say an appointment isn’t available or just cancel without contacting the patient! Very professional, polite, and informative. Answered every question I had. One of the best psych. in the Houston area.